Expedia has some excellent Isla Palma packages ready and waiting for you. Combining your accommodations and flights is one of the most straightforward ways to save money on your upcoming vacation. Book your package deal today on Expedia and save up to C$590*! It really is that easy! Our comprehensive database lists more than 400 partner airlines and 321,000 worldwide properties. With such a fantastic range to select from, you really can't go wrong! Not 100% sure about your booking? There is no cancellation fee from us when you change almost any reservation. It's nice to just stroll around the streets when you're in a new place, but sometimes it's a wise move to have a plan. Grab your itinerary — we have plenty of fantastic ideas for your Isla Palma vacation. At Expedia, we don't think "boring" and "getaway" belong in the same sentence (except in this one, of course!) Whatever you're looking to experience in Isla Palma, we can help make it happen. Finding a great place to stay is often critical to the ideal luxury getaway or cheap vacation. With just 3 properties in Isla Palma, make sure you book as soon as your dates are confirmed. 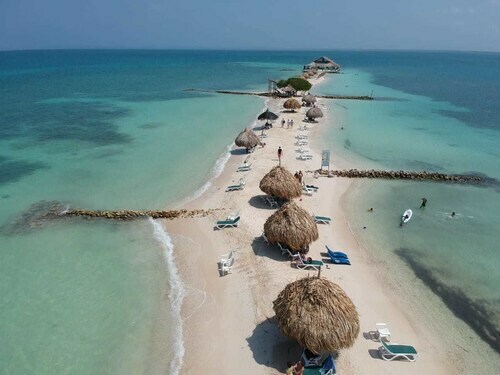 At the Punta Faro (Isla Mucura) and the Decameron Isla Palma - All Inclusive (Archipielago de San Bernardo) you'll find comfortable beds, terrific amenities and good reviews! Go through security, board the aircraft, put your bags in the overhead locker and get cozy! Your well-deserved trip to Isla Palma is just a plane ride away. After coming in to land at Rafael Nunez International Airport (CTG), you'll find yourself 50 miles (80 km) from the center of downtown. Wake up to the ocean at your door at this Isla Palma hotel, which is nestled on its own private white sand beach. Regional attractions also include Islote De Santa Cruz and Punta Faro East Dock. Situated in Isla Palma, this all-inclusive property is in the same area as Islote De Santa Cruz, Punta Faro East Dock, and Playa Isla Mucura. 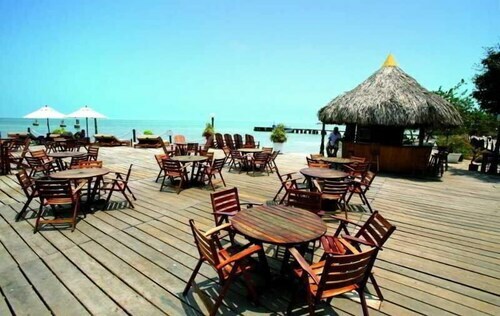 Area attractions also include Punta Faro West Dock. 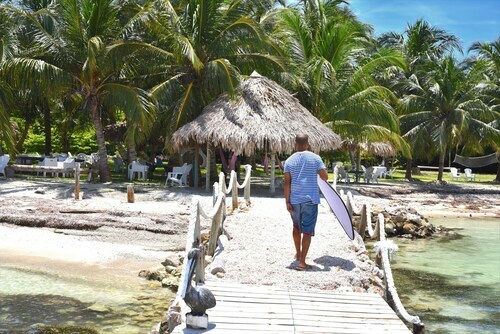 Ocean adventures await at this hostel, which is by the sea and set on its own private white sand beach within easy reach of scuba diving. Regional attractions also include Islote De Santa Cruz and Punta Faro East Dock. Wake up to the ocean at your door at this Isla Palma hotel, which is nestled on the beach. Regional attractions also include Islote De Santa Cruz and Punta Faro East Dock. Wake up to the ocean at your door at this Isla Palma guesthouse, which is set on its own private beach. Regional attractions also include Islote De Santa Cruz and Punta Faro East Dock. Wake up to the ocean at your door at this Isla Palma cabin, which is set on its own private beach. Regional attractions also include Islote De Santa Cruz and Punta Faro East Dock. 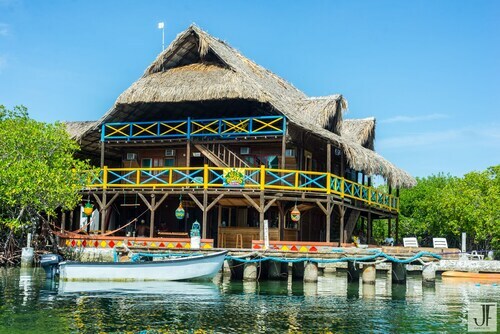 This hostel is on the waterfront in Isla Tintipan, near the beach and a short distance from Punta Faro East Dock, Playa Isla Mucura, and Punta Faro West Dock. 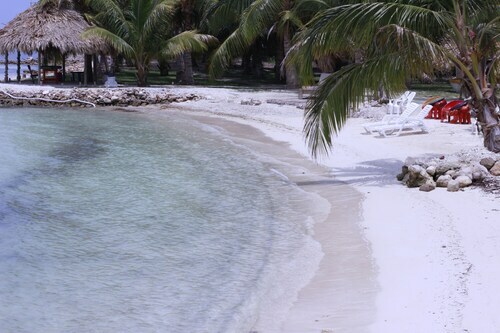 Situated in Isla Mucura, this beach hotel is steps from Punta Faro East Dock and Playa Isla Mucura.